Hello all! I will be running down a list of upcoming shows coming in a monthly preview so that you will have time to get your tickets and make plans to see these fantastic productions. Let’s get started! 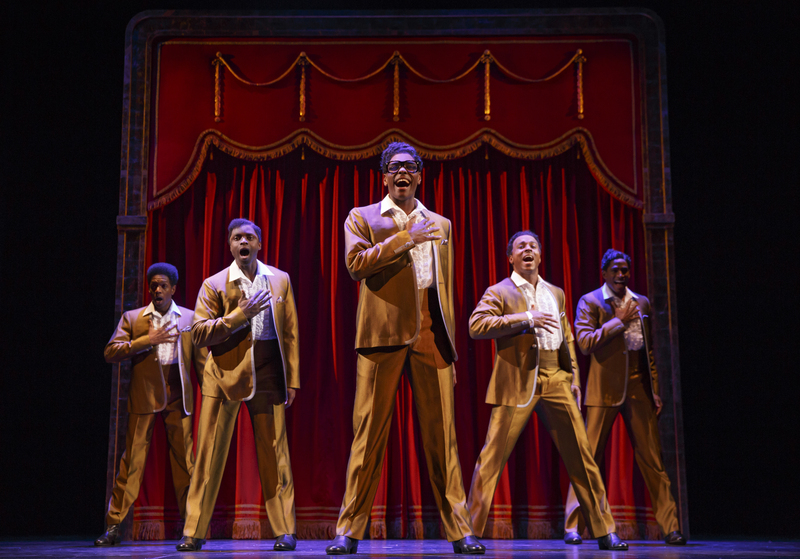 First up, MOTOWN: THE MUSICAL plays at the Aronoff Center for the Arts starting Tuesday, September 8th. This show tells the story of how Motown changed the soundscape of America forever. 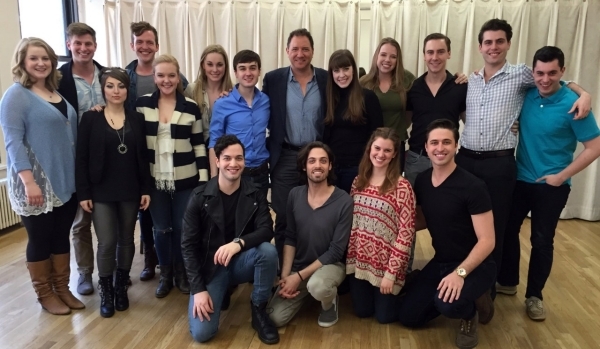 Kevin McCollum with the 2015 CCM Musical Theatre class. There’s a Cincinnati connection with the show; producer Kevin McCollum is an alumnus of CCM and was recently named as a Distinguished Visiting Professor. The show runs from September 8 – 20. Tickets start at $29 and are available at the Aronoff Center Box Office downtown at 650 Walnut Street, online at CincinnatiArts.org or by phone at 513.621.ARTS. For more information, please visit www.BroadwayInCincinnati.com. On September 9, (the show previews on the 8th) Ensemble Theatre will present the regional premiere of LUNA GALE by Rebecca Gilman. As a professional counselor working in community mental health, this is one I’m salivating to see. Caroline, a veteran social worker, thinks she has a typical case on her hands when she meets Peter and Karlie, two teenage drug addicts accused of neglecting their baby. But, when she places their infant daughter in the care of Karlie’s mother, Caroline ignites a family conflict that exposes a shadowy, secretive past—and forces her to make a risky decision. Powerful and arresting, this is a heartbreaking and unforgettable tale about moral ambiguity and knowing how to do good in the world. I cannot wait for this one. With D. Lynn Meyers at the helm and Annie Fitzpatrick, Kate Wilfert, Charlie Clark, Patrick Phillips, Molly Israel, Natalie Joyce Smith, and Brent Vimtrup in the cast . . . I don’t see how this won’t rock our world at least a little. On Thursday night, September 10th, the Playhouse officially opens THE SECRET GARDEN. This family musical tells the story of a young girl who goes to live with her uncle. 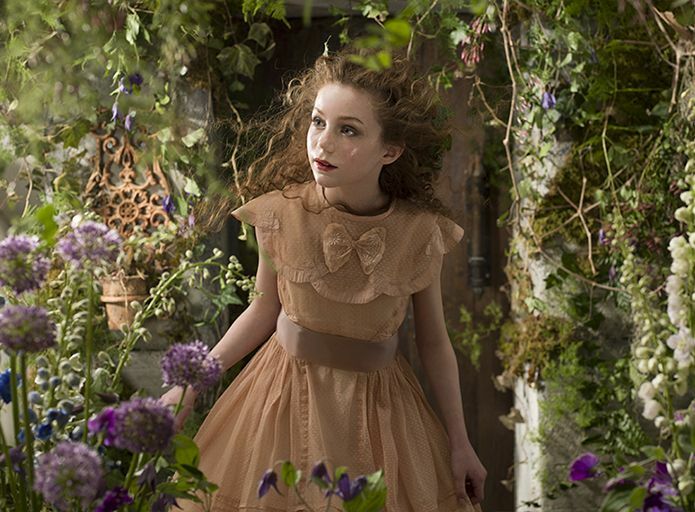 She discovered a magical garden full of secrets and is a musical retelling of a classic tale. The cast includes two CCM graduates; Carlyn Connolly (2011) and Adam Monley (2000). Monley is on leave from playing Javert in Broadway’s LES MISERABLES. I expect this production to be a commercial success but more importantly I fully anticipate it to be one of the most beautiful pieces of the year. It runs September 5th through October 3rd in the Marx Theatre. 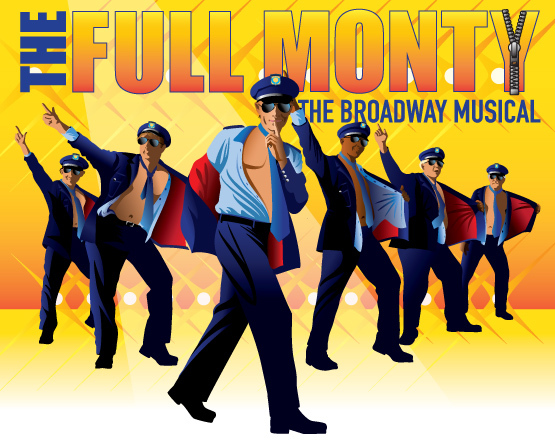 On Friday September 11th, Human Race Theatre Company opens their blockbuster season with THE FULL MONTY. This re-tells the story from the hilarious movie only this time set in Buffalo, NY instead of England. Out of work laborers decide to put on a strip-show to raise money . . . and we follow their journey of learning how to dance. Along the way, they learn a lot about themselves, each other, and we are all better for it. This shows features a great score, some hilarious moments, and is a raunchy good time at the theatre. The cast includes both locals and New York-based performers. NKU’s Tracy Bonner, WSU’s Jamie Cordes, Scott Stoney, Leslie Goddard, Peanut Edmonson, Cassi Mikat, and other familiar faces to local audiences join new faces to the Human Race stage to make theatrical magic. The show opens September 11th and runs through October 4th. Click here for tickets (they are selling fast). New Edgecliff Theatre presents FRANKIE AND JOHNNY IN THE CLAIRE DE LUNE opening September 17th and running through October 3rd in their brand new space in Northside. Located at 1662 Blue Rock Road, this former Catholic church is now home to Urban Artifact, a craft brew company, as well as NET. Frankie and Johnny is a play by Terrence McNally (McNally also wrote the book for The Full Monty) and will feature Sara Mackie an actor who I’ve not been able to confirm yet, directed by Jared D. Doren. New Edgecliff is having an open house on Wednesday, September 9th in their new space. Hopefully, NET will update their web site (and starting sending out some press materials about this show) soon. 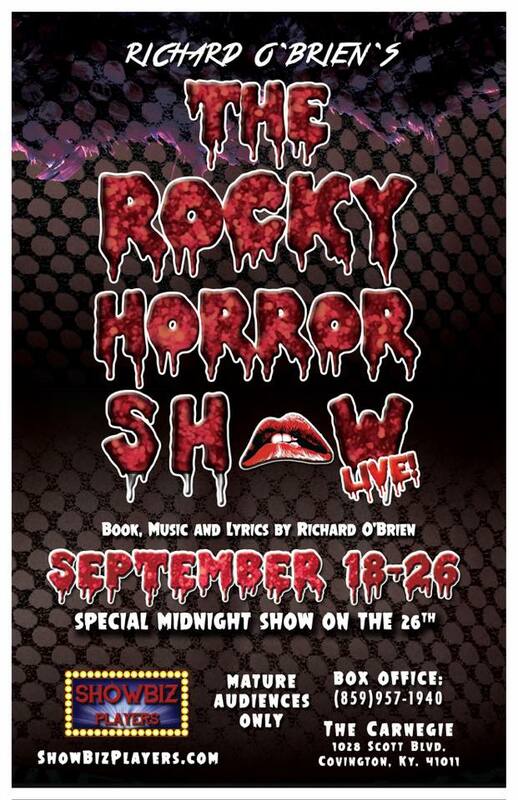 Showbiz Players will present THE ROCKY HORROR SHOW beginning September 18th at The Carnegie in Covington. Featuring Brett Parr as Dr. Frankenfurter, as well as Rick Hunt, Kati Bakes, Emily Rowekamp, Ian Forsgren, Laura Wacksman, and others this should be a hoot. Vocal direction is by Erin McCamley, who’s very busy this season (she was the musical director of COMPANY) and the show is directed by Sean Mize. Please read Showbiz’s web site for special information about showtimes, audience participation, and more. This one will likely sell out. Finally, Falcon Theatre will present SILENCE: THE MUSICAL. This is incredibly raunchy and only for folks with a very good sense of humor. If you are offended easily, you should probably stay away. Mike Hall will play Hannibal Lecter and I can’t think of a better choice. Ted Weil will direct and I can tell you first hand that no one has worked harder to secure the rights to a particular show than Weil did for this one. It’s taken him a couple of years but finally he has his hands on it and with Sherry McCamley musically directing, I am looking forward to this bawdy, riotous spoof of the classic film. The show runs 9/25 – 10/10. Tickets and more information can be found here. I’ll also be at the opening night of Kings Island’s HALLOWEEN HAUNT, which will feature a ton of scary mazes, the return of my favorite classic rock show, “Hot Blooded,” and a new version of their summer hit “Let It Rock” called “Monster Rock.” Check out my live entertainment blog entries at Kings Island’s web site. Also opening in September: CYRANO DE BERGERAC at Cincinnati Shakespeare Company, A CHORUS LINE at the Covedale Center for the Performing Arts, INTO THE WOODS by Dare to Defy Productions in Dayton, and more. You can get a more complete list by visiting the tireless Rob Bucher’s web site, Behind The Curtain Cincinnati.